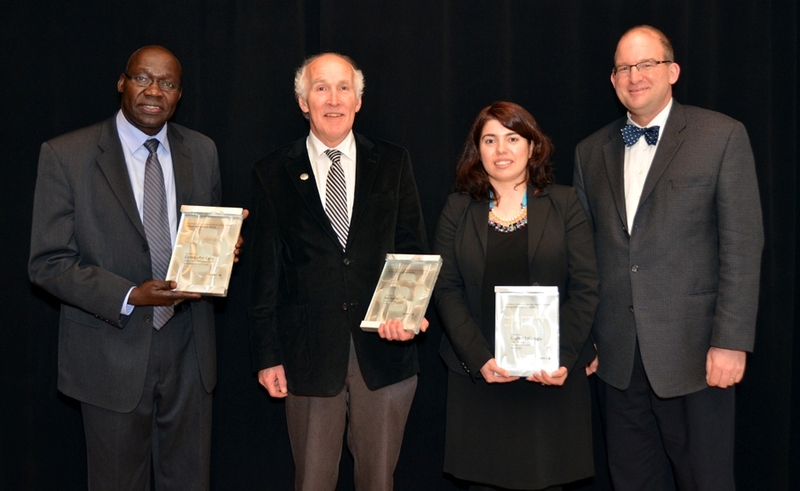 An Engineering professor who is adapting European technology to process BC’s municipal and industrial waste, an Ecosystem Science professor who is applying his academic work to create sustainable clean water resources in Northern Uganda, and a History professor who has spent his life connecting the study of history to contemporary Canadian issues received the 2012 CUFA BC Distinguished Academics Awards on Wednesday, April 11th. UBC-Okanagan’s Dr. Cigdem Eskicioglu received the 2012 Early in Career Award Sponsored by Scotiabank for her groundbreaking work on processing organic waste into energy (in the form of methane gas) and organic fertilizer. Her work diverts waste from landfills, protecting our environment and creating valuable resources. UNBC’s Dr. Christopher Opio received the 2012 Academic of the Year Award for his work establishing sustainable clean water resources in Northern Uganda. He founded the Northern Uganda Development Foundation in Prince George to support his work and to date has established 42 wells providing clean water to more than 50,000 people. UVic’s Dr. Eric Sager received the 2012 Paz Buttedahl Career Achievement Award for his lifelong commitment to connecting his historical research to contemporary issues. His is also dedicated to making his research available to the wider community, through newspaper articles, websites and public presentations. These awards are presented annually by the Confederation of University Faculty Associations of BC (CUFA BC) to recognize outstanding faculty members at BC’s public universities who use their research and scholarly work to benefit the general public. Sheryl MacKay, host of CBC Radio One’s North by Northwest, emceed the awards dinner at the Law Courts Inn in Vancouver. 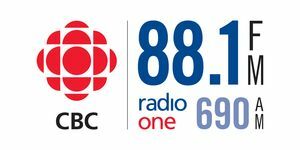 The CUFA BC Distinguished Academics Awards are in their eighteenth year and receive generous support from Scotiabank, Pacific Blue Cross, CBC Radio One, University of British Columbia, Simon Fraser University, the University of Victoria, the University of Northern British Columbia, and Royal Roads University. CUFA BC represents 4,600 university professors, instructors, academic librarians and other academic staff at the province’s five doctoral universities — SFU (Burnaby, Vancouver and Surrey campuses), UBC (Vancouver and Kelowna campuses), UNBC (Prince George, Terrace, Fort St. John and Quesnel campuses), UVic and Royal Roads University.